A live broadcast covering a sporting event is one of the most technically challenging assignments for any production crew. Large, demanding global audiences (like those viewing the Olympics and World Cup events) with ever increasing quality expectations create even more pressure to produce a well-choreographed, real-time production. 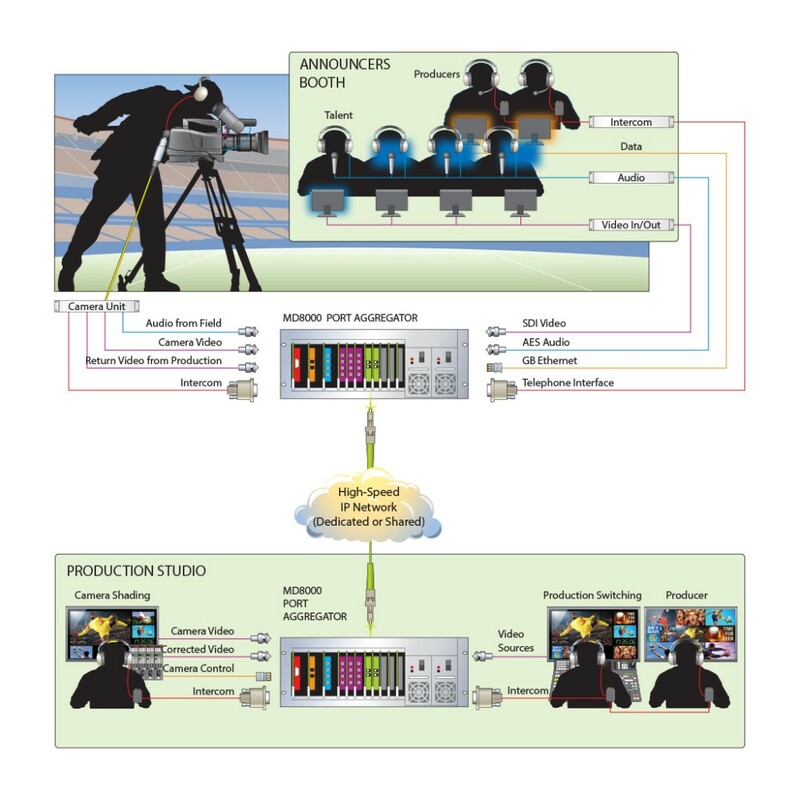 Multiple signals in a wide variety of formats need to be transmitted around the sporting venue, as well as being seamlessly integrated with feeds from a studio or other locations to form a complete broadcast stream. Increasingly, broadcasters are turning to IP technology in order to simplify their networks by consolidating all their media traffic on a common platform, and to take advantage of the increasing array of video devices that natively support IP. Managing all of the different signal types and locations can be a daunting task without advanced transport technology. Most media signals need to be encapsulated or adapted to work efficiently over a backbone that carries multiple signals. ultra-reliable, high-performance transport system for all types of signals used in live sports or any other form of media networking. All of the signals required for a live sports broadcast are unified on a common transport platform. All of the signals required for a modern sports broadcast can be delivered over a single backbone, greatly reducing system complexity, setup time and cost.